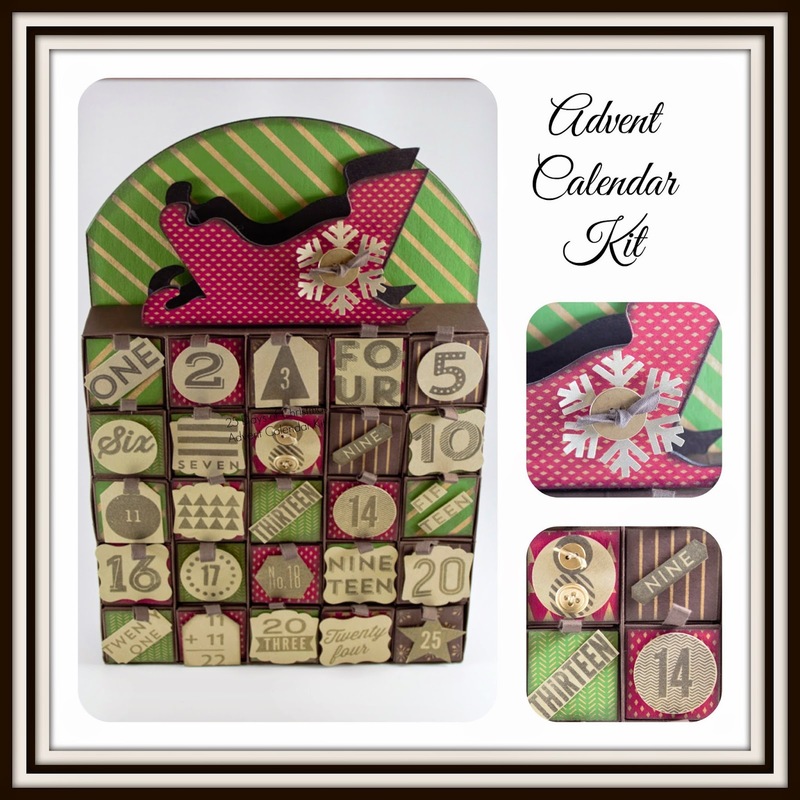 I created this fun, adorable 25 Days Advent Calendar using Stampin' Up! 25 Days Photopolymer Stamp Set and Under The Tree Specialty DSP. It's a special little calendar your children can use to count or celebrate the days anticipation of Christmas! The doors are opened starting with the first one on December 1st. Consecutive doors are opened every day leading up to Christmas revealing chocolates, a small gift or whatever you choose to fill it with. The kit contains everything you need to create this adorable project, including supply list, scoring instructions and you will also receive a link to private videos showing you how to assemble. I'm offering the kit two ways and free shipping! I'm also selling the black chipboard sleighs that could be used for other holiday projects. I just ordered my kit and am SO excited to get the link to the videos so I can make one. Whoo Hoo! Beth, what an adorable kit!! This should be very popular, especially at the various kit prices! Way to go, Pal! !